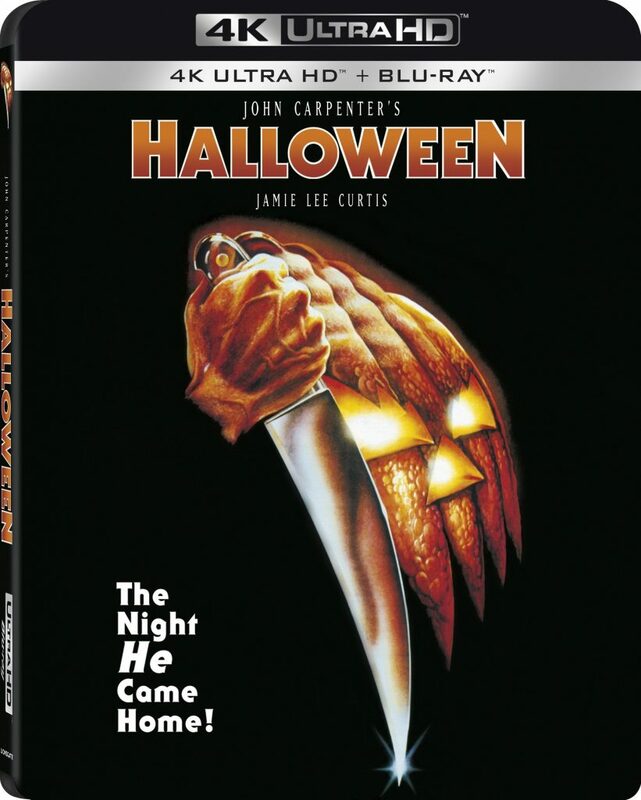 This masked killer has focused his sights on a high-school girl named Laurie Strode (Jamie Lee Curtis) on Halloween night. Some 40 years later, this film still manages to keep the scares and entertain all audiences. The new 4K UHD transfer with Dolby Vision is much better than previous releases and has a darker image and the correct color timing. Things you’ve never seen before show up finally here in the background. The audio comes with a 7.1 mix and a digitized mono track, which is a sore subject with some fans since this does NOT include the original lossless Mono mix. Still, the audio track is worth your time for sure, especially in the surrounding environments. There are no new extras here, however, there are some great bonus features from a previous release included. This does NOT include a digital copy of the movie, which is very sad. Still, all this being said, this worth your time and money. This entry was posted on Tuesday, October 2nd, 2018 at 3:21 pm	and is filed under Film, News, Podcast. You can follow any responses to this entry through the RSS 2.0 feed. You can skip to the end and leave a response. Pinging is currently not allowed. Oh bad! Bad, bad, bad!